So for those of you who missed the boat 2 weeks ago (you can hop right on here), this ship is heading towards an ocean of great music of our childhoods (or perhaps adulthoods for some of you out there) that, quite frankly, passed me by. I won’t reenact the lengthy story here, but suffice it so say I missed a lot of great music when I was younger. Like, pretty much all of it. So, here are my discoveries in this my (nearly) 19th year of life, organized by year as I review a score of albums I really should’ve grown up with. Coming at you this week, those formative years from ’98 to the new millenium (as I recall things were pretty bizarre then–it went from watching Angry Beavers to going to kindergarten to potentially the end of the world #Y2K). Enjoy! Whatever and Ever Amen is without a doubt the trio’s best album, meandering across a fascinating array of ballads, piano-bangers, and whirling klesmer polka (see “Steven’s Last Night in Town”). Folds shows off unreal chops on tracks “One Angry Dwarf and 200 Solemn Faces”, “Song for the Dumped”, and “Selfless, Cold, and Composed”, tingeing all with a style that is unquestionably unique. He’s virtuosic in a way that is altogether different from the likes of Elton John or Billy Joel, fitting himself into a band whose members are all individually some of the best musicians I’ve ever heard (listen to bassist Robert Sledge’s lines on “Song for the Dumped” or drummer Darren Jessee on “Battle of Who Could Care Less”). 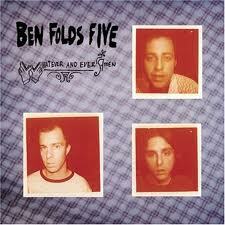 The composition of voices in the group is also astounding; background falsettos and harmonies from Sledge and Jessee complete the album in a way Ben Folds’ solo stuff always seemed to miss. The album ends with the shimmering ballad “Evaporated” as Folds’ voice seems to disappear into nothingness. The song was appropriate given the fact that the band would only stay together for roughly one more year before breaking up in 2000. However, they have since reunited after a 12-year absence, recently releasing their newest album The Sound of the Life of the Mind. I have yet to give it a listen, but if it bears any of the musical dexterity, complexity, and power that the faux-apathetic Whatever and Ever Amen did, I’m sure I could find the songbook somewhere, right? 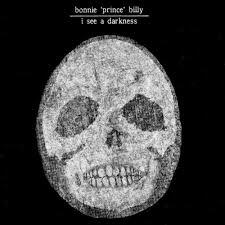 There’s simply no other way to put it—I’ve been a fool for ignoring Bonnie “Prince” Billy for as long as I have. The troubling thing is I must’ve received the recommendation for the Prince (his real name is Will Oldham) at least a dozen times. “Hey, wanna’ listen to Bonnie “Prince” Billy on the ride to school?” “What a gross rainy day, you wanna’ just play some Scrabble and listen to Bonnie “Prince” Billy?” “Hey Parker, I’ll make you this delicious artisan Chai if you stick around, and we can listen to some Bonnie “Prince” Billy.” (That last one is the most heartbreaking of them all—shoutout to good ol’ Sam Coates-Finke for all his chai and love for BPB). Somehow all these opportunities slipped by me until roughly a month ago, when I stumbled across I See a Darkness on the interwebs in search of more musicians who bear striking resemblance to Iron & Wine’s Sam Beam (the beards, and the unbelievable songwriting, are eerily similar). But Billy precedes Bean, and his music goes to darker and more challenging places. I See a Darkness is a difficult album to place, especially the eerie, resigned lyrics and growling “wawas” on “Death to Everyone”. Billy sings poetically, metaphorically, and loves to show off his conceptual firepower. His voice has that beautiful strained, aching feel on this album, and each slowly tumbling ballad seems to progressively exact a toll on him (see the belabored “Knockturne”). The start of the album is clearly the strong point, as the bouncing “Minor Place” and “Nomadic Revery (All Around)” display some of the coolest, wonkiest vocal harmonies I’ve heard in a long time. But it is still the second half of the album, especially the battle we hear on “Black”, that is the more unique and vulnerable aspect of Billy’s masterpiece. I See a Darkness feels like an album wading deeply into difficulty and hardship and emerging with something simplistic and beautiful. The songs may lack complicated chords and heavy instrumentation, but its sparseness and challenging emotional undertones make this a more human grapple with topics of death and mortality. There is also some transcendence here, a sense of overcoming, that leaves you awestruck after the labor of “Raining In Darling”. If only I’d liked chai more back in the day, I could’ve discovered this sooner. What a fool I was for rejecting a homemade warm beverage and an afternoon with the Prince. 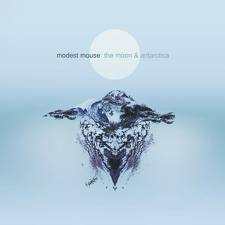 The Moon and Antarctica sees Modest Mouse dawn many guises only to shed them all from one song to another (and often within the same song). The beginnings of “Paper Thin Walls” and “The Stars Are Projectors” would convince you they’re a punk band. The slow drone of “The Cold Part” might make you pin them as a neo-folk posse in the same vain as Radiohead. Heck, “Tiny City Made of Ashes” sounds pretty close to electro-funk to me. But the discrepancies here don’t come from a place of uncertainty. It’s clear from the chances that Modest Mouse take on this album that they know who they are—they’re everything, and they’re going to show you. The album’s high point is reached on the 8+ minute “The Stars Are Projectors”, although it is the effort of highlights “Gravity Rides Everything” and “Dark Center of the Universe” that push the album to that point. Compared to Modest Mouse’s more well-known singles (read: “Float On” and “Dashboard”), The Moon and Antarctica stands out for its brilliant composition as an album. There are absolute hits here, but it’s every lyric, every twang, every bit of weirdness and swagger and vulnerability together that makes it their best. And it makes for some damn fine music to have stuck in your head when you’re sprinting up a mountain. Lonesome Crowded West is Modest Mouse’s magnum opus, dood.